The port of Santa Cruz is our gateway to gorgeous Tenerife, heart of the Canary Islands. We’ll begin with a visit to La Laguna, the former capital and a UNESCO World Heritage Site; the city shows both noble 18th-century colonial buildings with impressive façades, and colorful middle-class homes in the pre-Colombian style. We will visit the Santuario del Cristo de la Laguna, a 17th century Franciscan convent; here we’ll see the beautiful and highly revered Cristo de la Laguna, sculpted in the early 16th century. We’ll drive on to La Orotava, another World Heritage town. Here, we see traditional Canarian architecture with graceful shaded courtyards and balcony homes. The Casa de los Balcones are 17th century mansions, one of which has been converted into a museum and handicraft shop. A fascinating display here is a sample of one of the famed “sand carpets,” an artistic tradition played out during Corpus Christi, when the streets are decorated with mosaic-like artworks composed of volcanic sand, flowers, and other natural materials. We’ll have a brief walking tour in Orotava and then travel to the town of Puerto de la Cruz for a gourmet lunch. On our way back to the ship we will stop briefly to admire The Tenerife Auditorium Adán Martín. This modern piece of architecture features huge swooping sculptural elements, and is a unique landmark in the islands. Suggested Attire/Walking Notes: Casual attire with comfortable walking shoes. Includes some steps and inclines. This itinerary is subject to change without notice due to local conditions or other considerations. This Virtuoso Voyages Event is not transferable and cannot be used in conjunction with another sailing. This Virtuoso Voyages Event has no cash value, cannot be redeemed or refunded for cash. Credit will not be issued for unused services. Ground operators and other suppliers are independently owned and operated and are not controlled by Virtuoso. Your participation in this event served as your acknowledgement that Virtuoso is not responsible for the acts or omissions of these third parties. This option is available for a $75 late/change fee per person. Registrations will be accepted, and the fee waived for verified new reservations. Credit will be applied to your shipboard account. Restrictions apply, please see Terms & Conditions for details. 1st & 2nd Person in room, per person, based on double occupancy. The Personalized Experience Credit may be applied by your Virtuoso Travel Advisor toward the purchase of a private shore excursion created by a Virtuoso On-Site or another Virtuoso preferred product in conjunction with this cruise. Per person, based on double occupancy. Like caviar? Order exclusive Black River ossetra sturgeon caviar, which is sustainably produced using unique wild-farming methods, anytime and anywhere you want on a Seabourn ship. TERMS & CONDITIONS: All fares are in U.S. dollars, cruise-only per guest, double occupancy, subject to availability. | Some suite categories may not be available. | Government fees and taxes are additional. | Fares are not combinable with any other offer, vary by sailing date, are capacity controlled, are subject to change without prior notice. | Seabourn reserves the right to charge a fuel supplement for all guests, without prior notice, if the NYMEX oil price exceeds $70.00 per barrel, and may collect such a supplement even if the cruise fare has been paid in full. | Certain restrictions apply. | Information herein is accurate at time of printing. 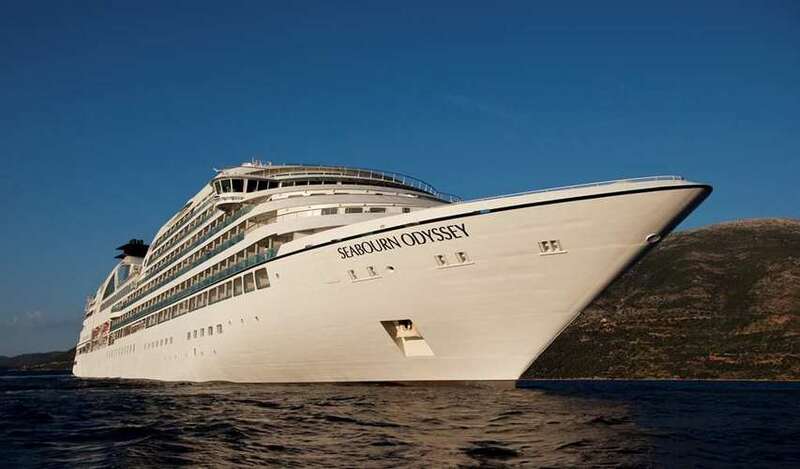 | Seabourn reserves the right to correct errors. | Offers are subject to availability and may be altered or withdrawn at any time without prior notice. | Ships' registry: Bahamas ©2015 Seabourn Certain restrictions apply. | Information herein is accurate at time of printing. | Select promotional offers including American Express cardholder benefits and "Run of House" fares are not be combinable with Virtuoso benefits. l Certain Seabourn shipboard credit offers may not be combinable if selecting the Virtuoso shipboard credit option. | The Virtuoso shore event, shore excursion, or shipboard credit is non-transferable and non-refundable. | Please note that ground operators and other suppliers are independently owned and operated, and are not controlled by Virtuoso or Virtuoso Discoveries. | Your participation in this event serves as your acknowledgment that neither Virtuoso nor Virtuoso Discoveries is responsible for the acts or omissions of these third parties. | Virtuoso benefit option must be selected at least 45-days prior to sailing date and may not be changed. | Within 45-days prior to sailing options may not be changed. | Virtuoso events and benefits are capacity controlled, subject to change without notice and may be withdrawn at any time. | The Virtuoso host will provide final event program details onboard to guests who have opted for the Virtuoso shore event. | Other restrictions and limitations may apply. | See your Virtuoso Travel Advisor for more details and applicable restrictions. | All Virtuoso Member Travel Agencies are independently owned and operated, and are not controlled by Virtuoso. | Seabourn reserves the right to correct errors. Offers are subject to availability and may be altered or withdrawn at any time without prior notice. | The trademarks VIRTUOSO, the Globe Swirl Logo and SPECIALISTS IN THE ART OF TRAVEL are registered trademarks of Virtuoso, Ltd. Virtuoso, Ltd. has a U.S. copyright registration for the Globe Swirl Logo, ?2000. All rights reserved. Virtuoso CST#2069091-50. California CST# 2069091; TA# 808 - Registered Iowa Travel Agency; Washington UBI # 601 554 183. Registration as a seller of travel does not constitute approval by the State of California.